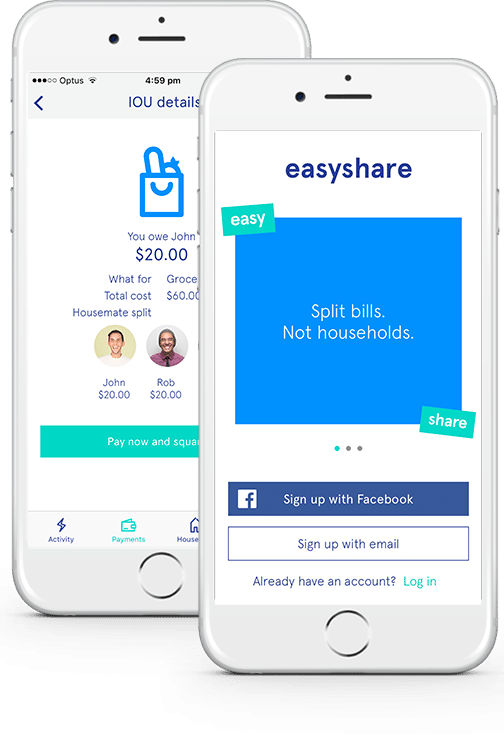 easyshare payment app - Get your rent and bills split, paid and sorted. to get paid back for shared expenses. Let us do the organising. No more chasing housemates to pay rent and bills. We collect everyone’s share and pay the total for you. Tell us who bought what and we'll make sure they're paid back. No more awkward conversations. Pay your rent by credit card. With flexible payment options, pay your home or business rent via bank transfer or credit card. Let us sort the money stuff.